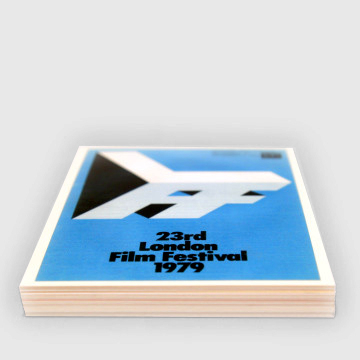 To celebrate the 2018 BFI London Film Festival, we've dug into our design archives to create this exclusive range featuring beautiful artwork from previous LFFs. 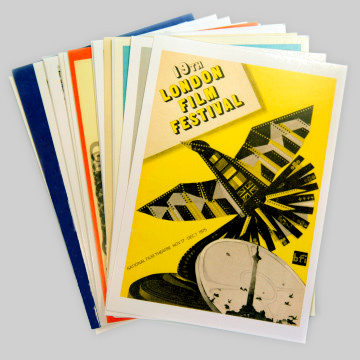 This postcard set features 21 stunning poster images spanning more than 60 years of the London Film Festival. 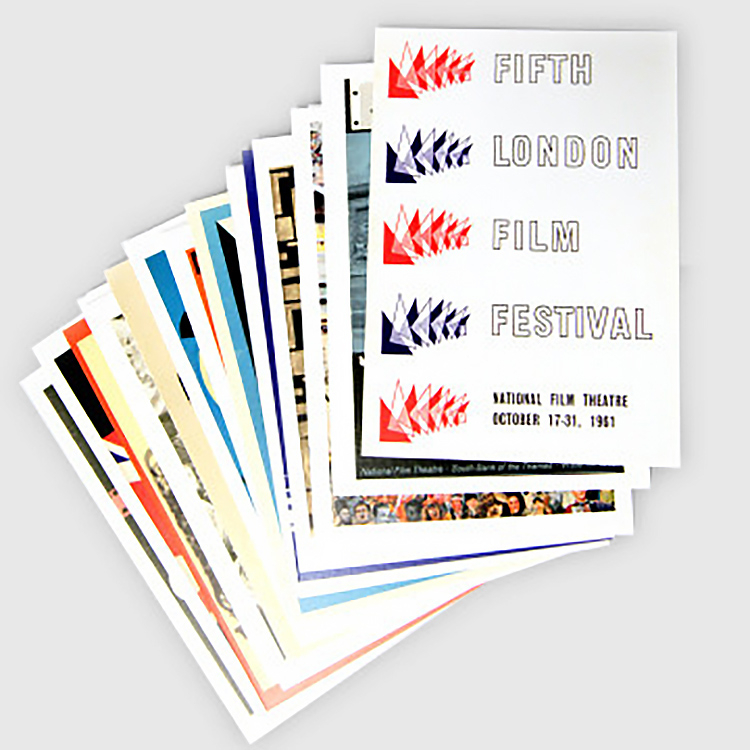 The selection includes artwork for the 5th LFF in 1961, featuring the the repeated triangle motif from the listed National Film Theatre sign which can still be seen on the south west side of Waterloo Bridge, and which inspired the current LFF visual identity. 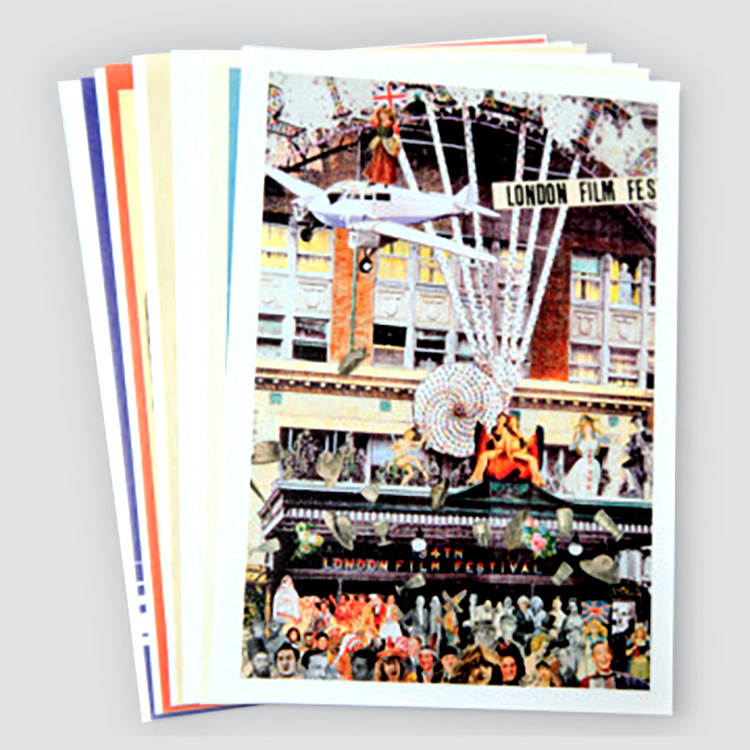 The set also features specially commissioned artwork by Peter Blake, Richard Williams and Nancy Fouts. 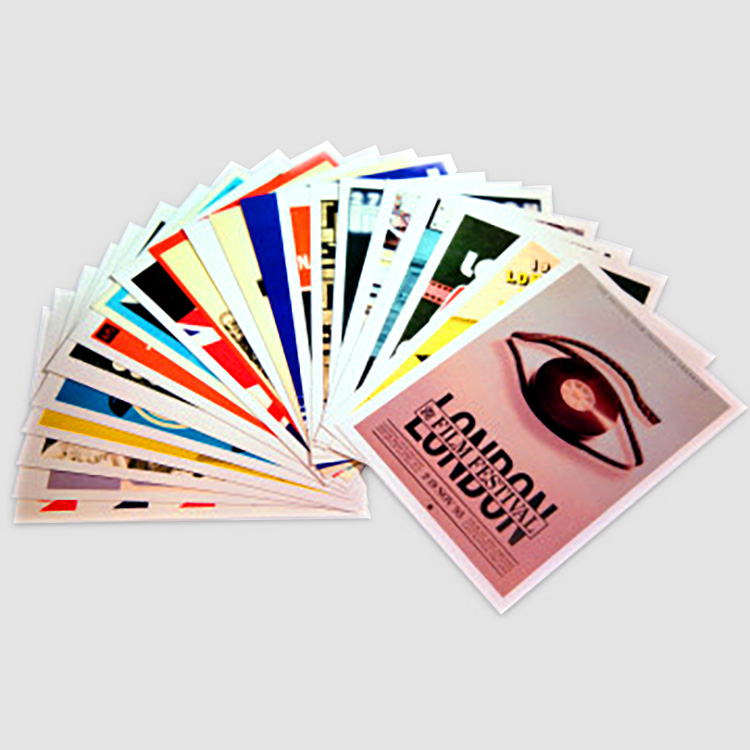 Cards are UK postcard size (148mm x 105mm) and have conventional postal layout with space for a message, address and stamp on the reverse.